Welcome to the Payhembury Village website! Payhembury is a thriving community situated in East Devon, and we have lots going on for people of all ages. Whether you live in the village, are planning to visit or come and live here, we will almost certainly have something to interest you. Our aim on this website is to provide all village groups and organizations with a space to let others know what they do and when they do it. If you would like to add your organization or any other content to the website please contact us and we'll be happy to assist. 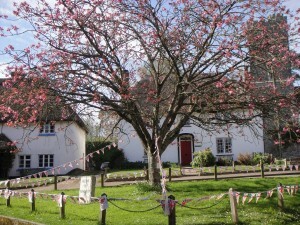 The site also has the latest news and as well as what's on in the village. If you are new to the village please do download our Welcome to Payhembury leaflet. Please help us promote the site: "Like" us on Facebook and follow us on Twitter. Enjoy! If you would like to add your organization or group to the website please contact us.